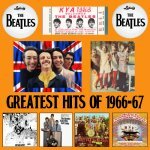 Hello and welcome to the Beatles Greatest Hits Music Collection CD Order Page. 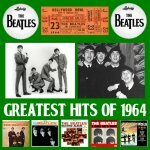 I now am offering four different Beatles Greatest Hits CD's from: 1964, 1965, 1966-67 and 1968-70. Each CD includes almost 80 minutes of the greatest music ever produced by the band from Liverpool, England. These CD's will be the actual songs recorded by the Beatles back in the sixties, not the MIDI files included on this website. The songs will be all in high-quality stereo too. The songs are listed in chronological order as they were released in America. 1964 starts with "Meet The Beatles" and ends with "Something New". Only 4 songs from 1964 are excluded from this one CD. 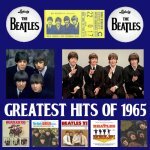 1965 has music from five different albums, while the the 1966-67 (multi-year) CD includes all the best songs from: Revolver, Yesterday and Today, Sgt. Peppers and the Magical Mystery Tour. 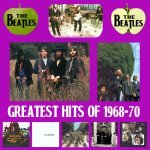 Lastly, the Beatles Greatest Hits from 1968-70 focuses on both: "The White Album" and "Abbey Road", but also includes a few songs from the "Yellow Submarine" and "Let It Be" records. This collection is a must for anybody who doesn't many of the original vinyl records produced by Capitol Records. 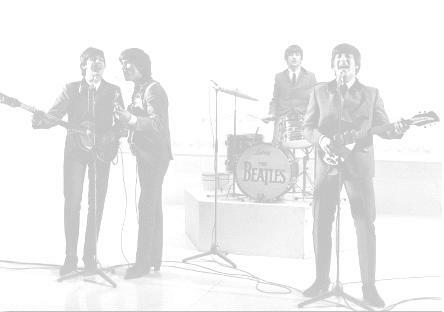 I also now offer to those who just want to extract the Beatles tunes onto their iphone, ipad, ipod, android or other mp3 player device. All 217 song included in the collection have their own unique I.D. tages including original album art. The MP#'s are all in high quality stereo and you will not be disappointed. These songs are all the same volume levels and are ready to install as soon as you drag them onto your computer. The Beatles will and always be considered the greatest rock band to ever inhabit this Earth we live on. And your purchase will also help in the financing of this site. Thank you for your order. accepted: PayPal and most major credit cards. Money Order, Cash or PayPal. Of The 4 Major Credit Cards.